Stars from London’s West End will visit Sixways later this year to perform a spectacular show featuring the music of Queen. 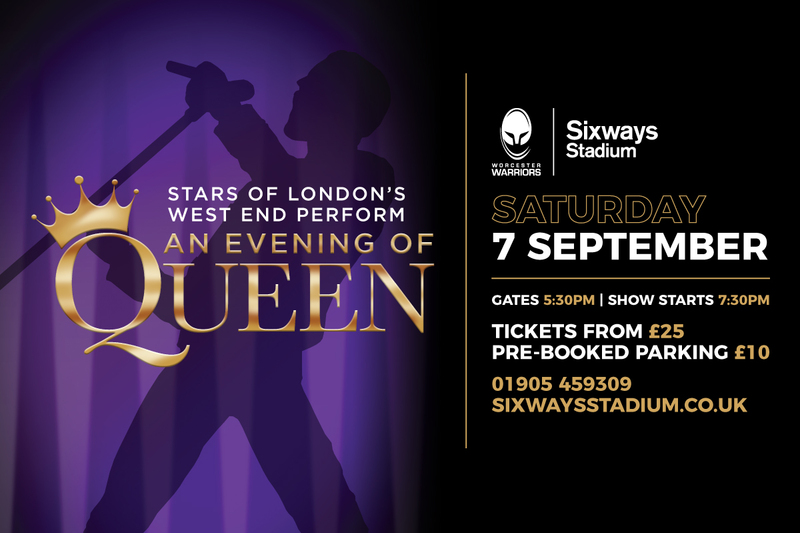 An Evening of Queen comes to Sixways on Saturday 7 September and will include a dazzling cast of stars from the smash hit musical We Will Rock You. The concert, which starts at 7.30pm, will feature Queen’s biggest hits on an outdoor stage at Sixways and is an event no rock fan will want to miss! To book your place, click here, email events@warriors.co.uk or call 01905 459309.